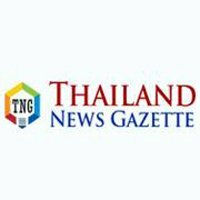 The Thailand News Gazette is the country’s trustworthy online news website, as you talk about all sorts of domestic, regional and international news related to the Thailand. The website is free from being influenced by any political, religious stance and that reveals our clean track record in both local and regional news industries. The objective of our news website is to publish the news as it is without spicing it up as many online news websites do in order to get maximum financial revenue. The website consists of the news of all kinds that makes it the right platform for the visitors of all kinds who are into finding the news of their own interest. The website offers you to find out any backdated news easily and that our highly qualified I.T team made possible through offering the advanced archiving system. The reason for international media to trust our news website when it comes to find out ever-changing regional news from all sectors is our professional method of working, which has been guided by the norms of journalism. These norms of journalism sustain us to avoid the inauthentic news which may become the reason for the debacle of our news website, and for that we ensure that our news sources maintain the standards while providing the news which we expect them for. The Majority of local Thailand businesses, trust our news website in order to prove their existence in the competitive international markets, and why they opt for the Thailand Press Release Service, is because it gives immediate results and owners of the businesses start witnessing a high number of traffic driving to their websites from all across the world. One of the core objectives of our news website is to sustain the Asean’s region’s economic growth and that is only possible if we support the small businesses and help them to approach international markets. If we did not have our readers support and their valued suggestions to improve the performance of our news website, so we would not be able to achieve multiple landmarks in the news industry. As we talk about the valued feedbacks of our readers, so we get them through social media platforms and for that we have the social media team which ensures our availability every time. Who does not want to get to know all kinds of the news through one single news service? And in this regard we offer you various services such as daily email news alerts and RSS News Feeds.